These hand painted wine glasses with butterflies of your choice are fluttering through the air just whispering "catch me if you can". 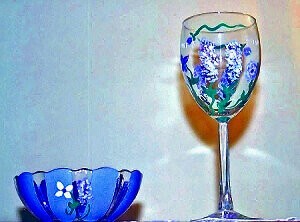 Our hand painted wine glasses in vibrant colors of majestic green, blue, purples and fuchsia etched in gold these glasses are truly a one of a kind design. 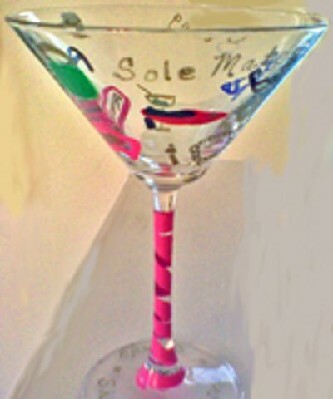 These hand painted wine glasses for sale would be perfect for any wedding party to give bridesmaids, mother of the bride or as a wedding gift. 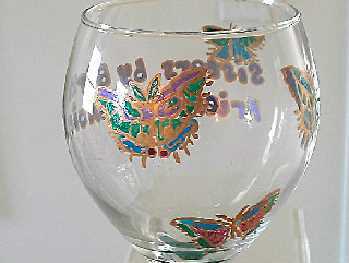 The wings of the butterflies stand out making this a stylish wine glass to be used for your finest occasions.